A stop motion battle between two friends turned enemies. 1. The video took two months to film and edit. 3. Nothing is fake and no green screens were used. The only computer animated part was the letters falling on the page. 4. Yes, we really did jump all those times. 6. The camera we used was a Canon GL1 with both digital stills being taken, and footage being shot. 8. There are 4,000+ still shots in the video. Lance Weiller gives tips on how to build a collaborative film industry through the Web. The entertainment industry is experiencing an identity crisis, unsure of its future and reluctant to let go of its past. The traditional models of distribution are in flux; the standard rules no longer apply. The permission-based culture and competitive nature of filmmaking is falling away. Meanwhile the experimentation necessary to establish the foundation for a new collaborative film industry is beginning. Independent filmmaking finds itself at an interesting crossroads, but many are already rushing to declare it dead. Ironically though, in some ways it is the best of times to be a filmmaker. Production processes have become democratized and distribution methods are quickly becoming commoditized. In theory all the tools and services are in place for filmmakers to beat a direct path to their audiences. But the part of the impending new business model that still remains foggy is the issue of discovery. The ability to generate virtual word of mouth and turn audiences into fans is the skill that will improve a filmmaker‘s chances of moving from a single film to a career in this new environment. It is at this cross section that the new business models will evolve, ones that learn from other industries, study consumer behavior and embrace open systems and solutions. The Workbook Project grew out of an experiment to see if I could outperform a book advance that I was offered. I had been approached to write about the production and distribution of my films, but instead of writing the book I took the project to the Web. This past fall marked the two-year anniversary of the Workbook Project. To date the project has long surpassed the initial book advance and is soon about to expand in ways that I only hoped would be possible. The Workbook Project now includes not only online resources but offline events like DIY Days and a discovery and distribution festival called From Here to Awesome. The Workbook Project‘s mission is to provide open resources and information — to pull back the curtain on the filmmaking process in an effort to help those making films to fund, create, distribute and sustain from their work. Its model is inspired by the Open Source Software movement where amateur and professional programmers share code and resources while collaborating to build and maintain software. This open approach has created a vibrant community while at the same time establishing both free and pay models for software that have fueled innovation and many successful business models in the process. The Workbook Project strives to support a similar collaboration between creators and the audiences who are passionate about their work. For the first time in history audiences are finding themselves with the tools and services that enable them to create. The concept of open creativity realizes that these new forms of interaction can be mutually beneficial to both filmmakers and the audiences that love independent film. By understanding these potential relationships filmmakers can establish collaborations with audiences that help them to fund, promote and distribute their films while creating additional materials around their work. The key is to give value back to audience members that turn them from passive viewers to engaged fans. Within the last few years fans have begun to exercise a newfound collective voice, and thanks to technology, it has become large and powerful. Fans have mobilized to save the shows they love from cancellation. Notable examples include Seth MacFarlane‘s Family Guy and Joss Whedon‘s Firefly. In the case of Firefly, fans self-organized under the moniker Browncoats in an attempt to save the Fox show by raising money for industry ads and conducting mailing campaigns. Later the show would return as the feature film Serenity in part thanks to DVD sales and fan efforts. Is there a future model where fans could actually help to fund the entertainment they love and in the process move from audience to producer? Citing fans of the show Farscape, a TV show abruptly cancelled in its fourth season, Sharon Ross, author of Beyond the Box TV and the Internet, thinks so. Film, television and music properties with preexisting fan bases are easy for independent filmmakers to dismiss. After all, in most cases these large fan bases were built off the backs of traditional media. But Ross is not so quick to dismiss their instructional value because at the core many of these cases are common fundamentals that can be employed by filmmakers of any size and scope. Audience building has been a hot topic for indies recently. By now it is common practice for filmmakers to collect e-mail addresses and capture zip codes from fans who have visited their sites or attended their screenings. 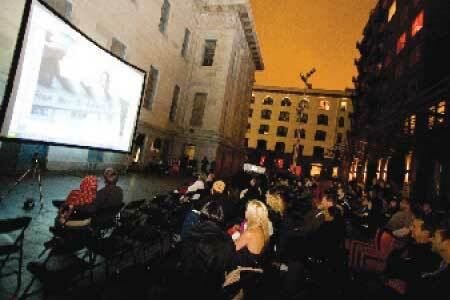 But many filmmakers are building their audiences within closed systems that could ultimately be detrimental to them. YouTube, Facebook and MySpace provide turnkey solutions that have captured large market share thanks to simple tools and services that enable people to conveniently connect. But remember, these outlets — not you — own your audience. Currently there is no easy way to export your subscribers‘ and/or friends‘ info to another platform that is not a blatant volition of the service providers‘ terms of service agreement. Even worse, for a variety of reasons, one day your audience could just disappear from these sites. More recently filmmaker Arin Crumley has been fighting to get his Facebook account back up and running. “Facebook disabled my account with more than 2,000 friends because I used the words ‘BUY FOUR EYED MONSTERS DVD in CANADA”‘ in a posted item,” says Crumley. The real strength of data portability for filmmakers is not just in making their own audiences portable but in allowing these audiences to make the films themselves portable and social. In the not-so-distant future media social graphs will be created allowing film content to benefit fully from the promise of the Long Tail. Relationships to films will seamlessly flow from one film to the next once the connections can be made in a simple fashion that moves beyond a basic IMDb or Google search. Visualizing the connections between films and allowing them to be spread across blogs, sites and social networking pages could produce media social graphs that link actors, shooting locations, genres, or musical references across multiple films. However in many cases these connections will be guided by an infinite number of nuances, referenced and generated by an audience that has a desire to discover, share and engage with the media they care about — references built upon core elements such as what a person likes and dislikes, watches or reviews, comments on, or personally recommends. Or maybe it will be things that connect people in personal ways, like where they first met or how they felt at a particular moment in time. This is nothing new. The mind has been making these connections around music and films for years. A certain combination of musical notes or a crisp line of dialog will immediately trigger a memory from one‘s life. But it is such personalization of media in the online space that will fuel the next generation of distributed social networking as well as a number of new discovery and distribution business models in the process. Another valuable aspect of this media social graph will be a layer that enables point of purchase to ride in close proximity to any reference to the media. For example, links to purchase digital downloads, DVDs or even to book tickets for an upcoming screening will accompany these social graphs. Accordingly filmmakers‘ ability to control data concerning their own audiences is crucial when it comes to fostering these new direct-to-audience models. The promise of true data portability is something that filmmakers should be fighting for. New models will emerge when the entire Web becomes one large open social network, enabling filmmakers to cross-pollinate their audiences with other filmmakers. This alone could expand the promise of 1,000 true fans to that of millions. This past year a small music start-up called Muxtape grew quickly and caught the attention of users, the industry and the press. The concept was simple: It enabled users to create and share mix tapes. Founder Justin Ouellette started Muxtape with the desire to bring the concept of the mix tape into the digital realm, but he made sure to embrace some of the analog limitations and in the process created a vibrant community excited by music discovery. The quick rise and fall of Muxtape points to an underlying issue that‘s of value to filmmakers: consumer behavior drives innovation, and even if an industry attempts to exert control over this innovation another service or solution will eventually rise to fill the need. Within days after Muxtape closed an open-source solution called Opentape emerged, enabling those who want to create and host their own mix tapes online. The key difference — Opentape is decentralized and because of that almost impossible to stop. Passive consumers are the ideal audience for the entertainment industry. But the problem the industry is currently facing is that technology is fueling audiences‘ desires to do more than just sit on the couch and watch. They not only want to trade their favorite media, they want to use it to fuel their own creativity. Indeed, his mashups of classic riffs, recognizable break beats and samples send crowds into dance frenzies. But Girl Talk is also a paradox. One of his songs might contain dozens of samples from other songs, all of which are used without clearing or licensing the samples from the original artists. Some would cry “piracy!” but in many ways Girl Talk is a pioneer. He is forging a path where new culture will be created by making inventive use of the past. This concept of a remix Cover Right could also be applied to film, thus enabling filmmakers to easily and cost-effectively make their footage available for remixing. This would provide additional revenue streams around footage that was used within the feature film or footage that hit the cutting-room floor. Another exciting model would be the creation of a universal license, one that would enable anyone to sell the film. This could mean setting up screenings, pointing people to physical DVDs, or even seeding the film via a p2p model. The royalties derived from such sales would pass back to all the individuals involved in the production of the work. In this model fans could become distribution hubs for filmmakers in exchange for a small percentage of sales and/or the opportunity to be involved in helping to see something they are passionate about reach a wider audience. One thing is certain: Independent filmmaking needs to evolve. By embracing collaborative models that fuel open resources, discovery, personal recommendations and fan creativity we have the opportunity to lay the foundation for a new independent-film industry. The new models will be powered not only by advancements in technology but by the people who are passionate about making and consuming films. The desire to connect with others and share experiences around entertainment is where filmmakers will find sustainability. Miyagawa is arguably the most important cinematographer in Japanese history, having worked with a who’s who of Japanese auteurs, including Akira Kurosawa, Yasujiro Ozu, and Kenji Mizoguchi. He is perhaps most famous for his work on Rashomon, where he was the first person to point a camera directly into sunlight (utilising years of study on light exposure). He was also known for using multiple camera setups for scenes, and acclaimed for his contrast of sweeping tracking shots and sharp close-ups. Other innovations on the film include using mirrors to reflect natural light and using dyed black water as rain, to make it appear more vivid on camera. He was also a master of genres, working on comedies (The Rickshaw Man), samurai films (the Zatoichi films), as wells as overseeing 164 cameramen and using over 234 different lenses for Tokyo Olympiad, often compared with Leni Riefenstahl’s Olympia as one of the greatest Olympics documentaries. 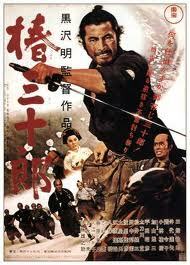 Some of Miyagawa’s stunning work on Rashomon can be seen in the clip. ‘Miyagawa, nicknamed “the comic cameraman” for his years of work on slapstick comedies… began to invent techniques in tracking and crane shots in early films through the special demands of Hiroshi Inagaki. Inagaki had several short sections of track on his sets which Miyagawa used for leisurely shots. When he began to work with Kurosawa on ‘Rashômon‘, Miyagawa had to lay out longer sections of track along which he had to roll his camera at great speed, in contrast to Mizoguchi’s films, which always employed long crane shots. In Mizoguchi’s films, traditional Japanese painting strongly influenced Miyagawa’s work. The emakimono or long horizontal scrolls were used to illustrate important works of literature. The emakimono were ‘read’ sequence-by-sequence, as the viewer unrolled the scroll in his hands while rolling up the portion that had been viewed. This narrative technique in painting inspired Mizoguchi’s one-scene-one-shot style of shooting a film. Of all the directors with whom Miyagawa has worked, Ichikawa gave the least direction to the cinematographer. He seemed more concerned with his actors and provided little information as to how he wanted scenes photographed. It was for Ichikawa’s ‘Enjo’ in 1958 that Miyagawa first used Daieiscope, one of the new widescreen formats. In experimenting with it he frequently fragmented the screen, filling half the space with a sliding door or even darkness. Ichikawa was impressed with the technique because it seemed to make the camera one of the actors. The ideas for using the new process came from Miyagawa’s early training in sumi-e, a Japanese artistic technique of ink-painting. The sumi-e painter creates a subtle atmosphere with only black, white and gray. One of the tenets of the sumi-e style which Miyagawa enjoys quoting holds that there is an infinite variety of color in the range of ‘gray’. The sumi-e painter does not fill the entire surface of the paper, nor does he arrange his composition symmetrically. Instead, he uses the borders of his surface to create separate planes within the space. Bahman Ghobadi’s No One Knows About Persian Cats mixes documentary and fiction in telling a musically exuberant, politically charged story set in Iran’s underground rock scene. The soundtrack to Bahman Ghobadi’s film No One Knows About Persian Cats is like a mixtape, each song meticulously selected and arranged in a perfect order. Its alternating highs and lows and its shifts in language and tone place it in the company of compilations that have taken on life independent of their films – from Pulp Fictionto Saturday Night Fever. Like these, Ghobadi’s is a soundtrack that ought not be shuffled. The film it accompanies is also a special one, not least of all because it allows each song to function as a strong-willed character in its own right. In this documentary-fiction hybrid, shaped by a simple structure and a brilliant coda, we follow Ashkan and Negar, two hipster musicians playing versions of themselves as they search for a bandmate with whom to go on tour. (In real life, their duo is called ‘Take It Easy Hospital’ and Ashkar also performs as Ash Koosha.) Since they live in Iran, however, the complications of hitting the road take on not only political subtext, but clear and present danger. Ashkan and Negar have already been to prison. Now they need passports – which means illegal ones – and the ready cash to pay for them. If they get caught practicing their music, let alone performing it, severe consequences await – particularly for Negar. In Iran, not only is much of Western-style music banned, but women are not allowed to sing. Yet despite the risks, the pair sets off on an odyssey of auditions, meeting a range of Iranian bands in search of the right musician to join them. Each group they meet has found a way to remain out of earshot of neighbors and police; to remain ‘underground’ even if that means taking to the rooftops. The sounds in the film exhibit unusual cross-cultural pollination, or what the writer Sasha Frere-Jones has described in the New Yorker as “musical miscegenation.” A range of cultural musical influences are audible within single songs as well as on the soundtrack as a whole. Hip-hop by the talented rapper Hichkas (his name means “nobody” in Persian) is matched with the metal of The Free Keys and the growl of Mirza, a crooner who belongs in the company of Leonard Cohen or Tom Waits. In a director’s statement, Ghobadi writes, “In the eyes of Islam, music (ghena) is impure, giving rise as it can to cheerfulness and joy. Hearing a woman singing is considered a sin, because of the emotions it stirs.” In the case of chanteuse Rana Farhan, critics might have a point: her voice smoulders like hot coals. The title of the film, No One Knows About Persian Cats (out in theaters through IFC Films in mid April), might be thought of as a reference to the American jazz appelation “hepcat.” But that was not what Ghobadi had in mind. “I compare [expensive, rare Persian cats] to the young protagonists of my film, without liberty and forced into hiding in order to play their music,” he has explained. “What’s more, when I visited the musicians’ homes, I noticed that cats liked to stand in front of the amps and listen!” For a film and a mixtape like this one, that’s not a bad idea. What first brought you to filmmaking? I really liked sandwiches when I was a kid. I was born in a very small town called Baneh in Kurdistan. There was a movie theater next to the sandwich shop. Whenever I told my father or my uncle that I wanted a sandwich, they would tell me to take it with me into the movie theater and eat it there. I always had my sandwiches with Coke, and they wrapped the sandwiches in paper. I never managed to eat it all before the lights went off, and as soon as the lights went off, I would watch my movie and eat my sandwich in the dark. I never realized until the film was over that I had eaten not only the sandwich, but half the paper, too! [Laughs] So my love for sandwiches took me to the movies, and I became a moviegoer. What kind of sandwiches tempted you so much? They only had three kinds: salami, hot dogs and hamburgers. I loved the bread: small, white bread, sandwich bread shaped like hot dog buns. When I think about it now, I can still taste the bread and the paper that I ate with it. I didn’t choose cinema; cinema chose me. I gradually got drawn into watching films all the time. There were no Kurdish filmmakers in the region when I was born. Cinema chose to have a Kurdish filmmaker when I first made my movie A Time for Drunken Horses. We did not have cinematic education, universities or higher education in my town or in Kurdistan. Even a hundred years after the invention of cinema, there is still nothing available. I went to two universities and I left them both because I could not learn cinema there. I did not learn filmmaking in the classroom; I learned it in life in Iran and Kurdistan. The struggles that I went through day after day, the wars that I witnessed in Iran and Kurdistan – these are the things that made me a filmmaker. What brought you to the film No One Knows About Persian Cats? Censorship, repression, and pressure: these are the things that brought me to the film. I had been trying to make another film for three years, but the government gave me a very hard time and would not release permission for it. I was kept at home and I couldn’t do anything; it was a struggle day after day. Often I thought about committing suicide. Finally, I packed everything, and wanted to leave Iran. 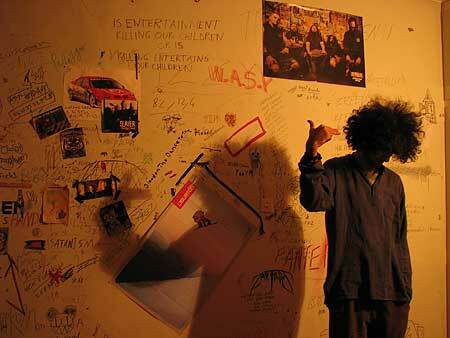 So I did: I went to study underground music, and I got to know many underground bands in Iran and Tehran. I realized that these kids were very brave, and that they were doing what they want to be doing. They were making music in their basements without any money, without any equipment, but with a lot of courage. I decided to make a film in their style; I learned this particular style of filmmaking from them. With the music of these kids, my whole view of the world has changed. They have opened a new window in my life, and I owe them very much. Your first film, Life in Fog, was a documentary short. This film’s characters use their real names, and play their own music. Can you discuss the documentary elements of this film, and the way that the documentary and fiction modes intersect in your work? Many of the films that I’ve made have their roots in reality and truth. I don’t make films based on fiction, I make them based on real life. Many of the people in my films have actually experienced the lives you see onscreen. When I started making a film about the underground music world in Iran, I realized that although I was making a documentary, it was very similar to a fiction film. These stories have a lot of drama. The underground music world in Iran is very different from the underground music world in the U.S. or in other western countries. It exists because of a lack of space and lack of permission to make music. These people are actually hiding. Their lives are so traumatic that there is a lot of inherent drama in even a documentary portrayal. For instance, when I met Ashkan and Negar, the film’s two main characters, I decided I wanted to make a documentary about them. But when I followed them as they tried to leave Iran, I realized that their story in and of itself had a lot of fiction-like drama. A lot of my films are this way. They are documentaries that have a lot of fiction in them. Every time I want to make a film, I go and I live with my characters in advance. Fifty percent of my script comes from the people who are living those lives, and the other 50 percent I make myself. The half that I do, my 50 percent, has roots in my memories of childhood and my own experiences. For example, characters like Ayoub in A Time for Drunken Horses, Satellite in Turtles Can Fly and Nader in No One Knows About Persian Cats all are based on real charcters from my childhood and in my life. So to a certain extent, I replicate my life in my films. To what extent are your films written or spontaneous? Most of the time I don’t even have a script. I start filmmaking with just two or three written pages. I go to the location and prepare my dialogue about half an hour before I start to film, and I usually complete the script after I’m done directing. I do this in order to be as natural and close to reality as possible. Before filmmaking, I go to live with my characters. We stay together in a big house and I don’t separate from them. I want to monitor every little thing that they do and the precise way they do it. I observe them very closely, and then I ask them to repeat some of those parts the next day in front of the camera. I don’t give them unreal text; I want them to use their own lives. I take from them, and then I give back to them. Usually when I ask writers to cooperate with me, it’s because I want them to challenge my ideas. So if we sit down and I say, “A boy and a girl” Then the person will say, “Why a boy and a girl? Why not two girls?” I want them to constantly question my ideas and to complement areas where I might be lacking. This is the second time that I’ve asked a writer to sit down with me to complement and complete my ideas. We can’t really touch the scenarios because we want to make films exactly like the lives that are happening. What we do is control the stories a little bit and give them a cinematic shape. We follow them, we record all the events that are happening in their lives. Everything that you see in No One Knows About Persian Cats is exactly the same as what’s happening in real life – we just give it an ending and a cinematic form. Can you describe your technical procedure for this film? How many people were on your crew? Because our subjects were all musicians, we had to have a lot of people with us to carry equipment and other stuff. Minus them and our drivers, however, it was only about five or six of us going to locations: a very small crew made up of me, two assistants, a cinematographer and a sound person. We used a couple of motorcycles and one SI2K digital camera. We didn’t have permission to shoot this film, however, and therefore we could not be seen on the streets. On that note, you were arrested while making Persian Cats. Could you describe what happened? I was arrested on June 2, 2009, because I wanted to leave Iran through the airport with a legal passport. My friends told me not to leave legally because the authorities would stop me and take my passport away. So I went to Kurdistan, in order to leave illegally at the border where I made A Time for Drunken Horses. It was there that I was arrested by plainclothes militia. They took me to Hamedan for three days, and then to Tehran. It was two days before the presidential elections in June that they told me to leave Iran. I could still go back to Iran. I’m not afraid of anyone; of course I could go back. But if I do go back, I’m sure that I would be taken into prison, like my friend Jafar Panahi. Then, if they ever let me out of jail, they would take my passport away and not let me travel anymore. When I think about it now, I wonder if it’s better to go back, or if it’s better to stay outside Iran, make films, do interviews with people like you, and work in Iraq to help other people make films. I’m in the process of doing a number of activities here, outside Iran, for the benefit of people who are still inside. I’m making films, finding budgets and working hard for the benefit of filmmaking in Iran. I’m conducting a workshop and building studios in Kurdistan Iraq so that Iranian bands can come record their music there. During the production, did you run into trouble with the police? Only once did they question what we were doing, in Tajrish, Tehran. But I talked to the police officers and calmed them down. I explained what we were up to and gave them DVDs of my films. One of them told me that he had a daughter and asked me to make her an actor. I gave him my phone number and said, “Sure. Contact me anytime you want.” So they calmed down and left after two or three hours. We were not arrested, and they didn’t take us anywhere. Two or three times I was compelled to borrow permits that my friends had for other films. For example, a friend of mine had a permit to make a film about drugs. The scene with the police in my film is all real – but they hadn’t come to be in my film, they were under the impression that they were part of a different film. I told them, “This kid we’re filming is being arrested for drugs,” and they acted along, thinking that it was all being done for another film entirely. Anything that’s being said by the government about drugs – and any films that are being made by them – are propaganda. They make it appear that they’re actually fighting against drugs, but that’s not the case. When you go to many regions of Kurdistan, you see that people are encouraged to use drugs. Drugs are also another reason that it’s difficult for these kids to make music in Iran. They are accused of being into drugs and alcohol; they are also accused of being devil worshippers and fire worshippers. But when you go and see them up close, you realize that that’s not the case. In fact, I got to know God better through these kids, their bands and their music. Through them, I learned more about God than I ever knew before. Are you saying that there was a religious element to this project for you? I’m not a religious person, but I believe in an energy in the world around us that you might call God. When I told you at the beginning of this interview that these kids changed my view of the world, this is exactly what I meant. They made me question myself, who I am, why I am here, and what I’m doing in this world. In Persian we say, “Religion makes trouble for people.” I don’t think that there’s anything inherent in religion itself that is a difficulty; multiplicity of religions is the trouble. The fact that there are all so many different religions makes it difficult for human beings to coexist. Your recent conflict with Abbas Kiarostami has been of great interest to the film community. Would you like to say a few words about that? I’d like to set the record straight for the last time here in this interview. First of all, I have a lot of respect for Abbas Kiarostami. He is my teacher and I have the greatest respect for his films and his work. He was like a father to me, and when I wrote to him [publically], it was like writing to one’s father. He knows, better than anyone else, that in the Iranian filmmaking world I have the highest regard for him. Recently, Abbas Kiarostami did an interview with an Arabic newspaper in which he congratulated me, Bahman Ghobadi, on leaving Iran. He said it in a sarcastic tone, implying that I had run away. It’s not right for him to make me appear as a cowardly person who would flee Iran. I did not run away; I was made to leave my country. He also said, “I’m living in my country, in my homeland, and making films in my language,” thereby implying that I, Bahman Ghobadi, was not doing this. Yet at exactly the time that he was making a film (Certified Copy) with Juliette Binoche in a non-Persian language, I was making Persian Cats in my own language and in my own country. Of course there is nothing wrong with making films in other languages, but the fact is that he shouldn’t have made me seem like a coward and himself a hero in front of people. I did not appreciate being put down in front of my own people when I had no choice other than to leave. He’s in an international boom. He’s an international figure who’s very safe in Iran. But he makes it sound like everybody can sleep peacefully in Iran. That is really not the case. If you’re in a position of power, you should not assume that everyone else is in that same position. So what I am saying is, “Please do not make it sound like all the people in Iran have a peaceful and calm life like you do.” When I open my mouth and say something, I want to represent the reality of life in my country. The truth is that we are in a very bad situation in Iran, and we need to talk about it. Mr. Kiarostami must remember that there’s a big difference between his filmmaking and my filmmaking; we’re not making the same kind of films. My filmmaking, like that of Jafar Panahi and Rakhshan Bani-Etemad, is political; we take the camera out into society. Naturally, we don’t get permission to film as easily as Kiarostami does to make his art films. I want to speak of political and sociological resistance in my films, as I have always done and as I will continue to do. In my letter to him, I invited him for further dialogue. But I want to ask you to do some research and find out whether or not I’m telling the truth. I want you to find the truth on your own. Would you like to comment directly on the situation with Jafar Panahi? The problem is that in his letter, Kiarostami says that the arrest of Jafar Panahi has to do with the Cultural Ministry. But the truth is that the Cultural Ministry is really nobody in Iran. This didn’t come from them, it came from higher up. These kind of arrests come from the Presidency and leadership of Iran. We have to realize that once Jafar Panahi has been to jail, he’s not going to be the same person after he gets out. He will be changed. Right now, in jail, they’re killing his feelings and his emotions. It’s not very easy in countries like mine to have filmmakers. Once we have them, we cannot afford to lose them.